If anyone noticed, in the last post I published earlier, I did use a tag “farewell”. 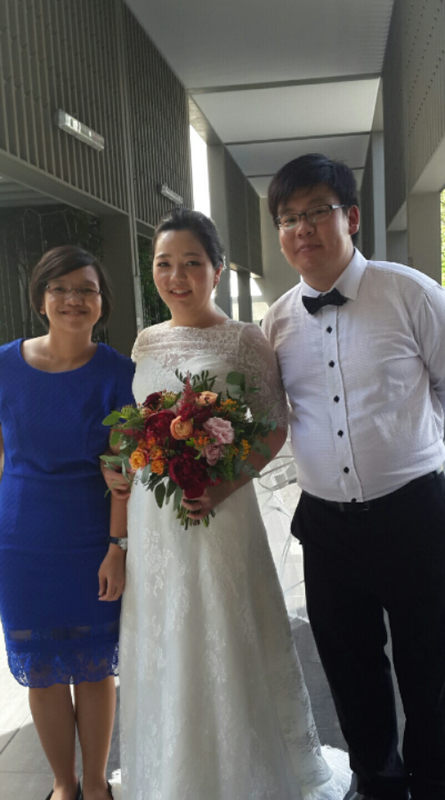 Well… I came to Singapore not only to celebrate my friend’s wedding, but to also bid her a farewell. It’s really a huge change for her and her husband, since not only they start a new life together but they will also start it in a new place, new country with a new workplace. But as long as they are together, I think it should still be a good thing, right? Anyway…. bidding a farewell is always difficult no matter how many times you have done it. It gets easier, yes… a lil bit. But the thought of course still bothers your mind. Even though in normal basis I don’t see her that often anyway; mostly once a year, twice a year sometimes; but you always know that you are just separated by a 1.5 hour flight…. a month from now, it won’t be a 1.5 hour flight anymore. It’ll be a one day flight and I don’t know whether we will see each other anymore. Life…. people come and go, fate helps it. I am now at the age where I can fully understand that sometimes things have to go on in a certain way whether or not you like it. I can still recall that moment 10 years ago when I cried like a baby asking my best friend to not go overseas to study; even though I knew I would also go overseas to study, teenager and logic, they don’t go hand in hand. So I can confidently say that I’m over that period. Sounds like I’m bragging over it, well I’m not. I actually think it was a sweet gesture of mine, the crying like a baby part. Haha… but seriously. I mean I guess at this stage we can all accept that God has a plan for each of us; whether it is a plan to always be together or separated, I believe it is still a good plan, the best for us. Having said that, again it is still difficult. I am facing it with the worst scenario in mind that we wont meet again. So I make sure that, assuming this time is the last, there is no regret or whatsoever between us. That we will remember each other as someone who brings joy, laughter and peace. As cheesy as it sounds, I want people to remember me that way. Regardless of all the flaws that I have in me, I always “dress up” with my best attitude for my supposedly last encounter with anyone important to me. Well most of the times you have no idea whether it will be the last but I would suggest to avoid fights with anyone you don’t see that often. Common sense, duh! I’m in the flight going back home and I’m making peace with all my personalities in me. To let go and wish them the best…. I have one less reason to visit that little country but that only means I have more reasons to visit other places in the world! Farewell, my friend…. you are never only a friend to me… you are a family…. it’s been a wonderful journey. It was one beautiful morning. The sun was shining, the sky was clear. 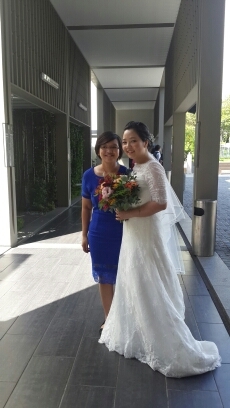 It was a huge day for my wonderful friend and for certain part, it felt big for me too. There she was walking in white dress with squinted eyes, since well… she didn’t wear her glasses. Everytime someone important to me getting married I always feel excited, happy and that ticklish feeling like you know something good is going to happen to you. I can’t explain why, I’m just describing how I feel. And for this friend of mine, it was no different. For the last two months I had myself worrying on what to give to her on her special day (or well… to be fair I started to seriously think of it a month ago). I know how big this day is to her and I wanted her to know that it is to me too.